A prostitute races against time to save her son’s life. A priest defies conventional religion to help her plight. Both get caught up in a madman’s terrorist plot. In the face of dire circumstances, lives are tested to the breaking point. As events spiral out of control, their only hope is…Redemption. 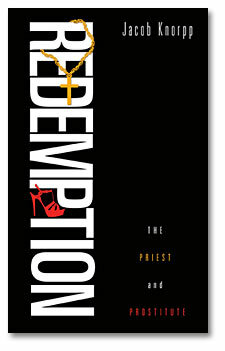 Within the pages of Jacob Knorpp’s new book, Redemption, readers will see Christians in a new light. The author’s intention was to show there are people with Christ-like integrity that are willing to put their hands to the plow and make relationships with people that society would term ‘undesirable’. Copyright © 2019 Jacob Knorpp.